Alaska provides a wealth of opportunities for pharmacy technicians. According to the Board of Pharmacy, there were 1,601 licensed pharmacy technicians in 2014 and the employment rate is expected to grow by 35% by 2016. Alaska’s pharmacy technicians earn a median hourly rate of $19.22 or $39,978 per year, placing them among the best-paid pharmacy technicians in the nation. Technicians employed in surgical hospitals and outpatient care centers earn a lot more. The Alaska Board of Pharmacy requires individuals to register for licensure before working or training at state-registered pharmacies. The requirements for registration are not as stringent as other states; pharmacy technicians do not need formal training or certification to register with the Board. 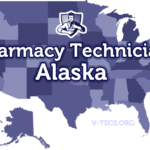 However, an Alaska Pharmacist Association survey reveals that more than 58 percent of the state’s technicians acquire PTCB certification to increase their technician responsibilities, earn respect, and get better wages. The Alaska Board of Pharmacy requires pharmacy technicians to register before working at the state’s registered pharmacies. The Board defines a pharmacy technician as a person who performs manipulative, non-discretionary tasks associated with the everyday running of a pharmacy. The individual executes his/her responsibilities under the direct supervision of a licensed pharmacist. Candidates for registration must be at least 18 years with a high school diploma or equivalent, no criminal convictions and the ability to speak, write and read English. After the Board approves the application for registration, pharmacy technicians must wear a name tag identifying their role in the pharmacy. A pharmacist-in-charge must ensure pharmacy technicians receive training in accordance with the duties they perform. Before taking up the task of preparing sterile pharmaceuticals, pharmacy technicians must first complete at least 40 hours of on-the-job training. The topics should cover preparing, sterilizing, aseptic techniques, and admixture of parenteral and sterile pharmaceuticals. Pharmacy technicians must renew their licenses biennially to continue working as pharmacy technicians. Pharmacy employers should verify a new employee’s status with the Board and report any indiscriminate actions to the Board. Pharmacy interns do not need to register to provide services as a pharmacy technician. Alaska’s pharmacy technicians must be 18 years or older to register with the Board. Pharmacy technicians must have a high school diploma or GED equivalent to register with the Board. The applicant will need to provide details of the high school or other program attended and the graduation date. Alaska does not require any other formal education from technicians. 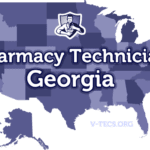 Applicants with felony convictions or those found guilty of other crimes may not be eligible for registration if the crimes affect their ability to perform their duties as a pharmacy technician. The Board does not perform criminal background checks by default. However, those who answer “yes” to the Personal Data questions on the application form may be subject to an interview and criminal background check before the Board makes a final decision. There are fewer than a dozen formal pharmacy technician training programs in Alaska. In spite of the lack of formal institutions offering credible training programs, Alaska’s pharmacy technicians are well-trained, certified and among the best-paid in the industry. More than 90 percent of the state’s technicians acquire the knowledge and skills they need through on-the-job training. Committed pharmacists ensure technicians learn all the essential skills to execute their responsibilities on the job. They supervise the didactic component of the training and ensure student/employees obtain lots of opportunities to put their learning into action. Pharmacy technician programs, including the one at the University of Alaska Anchorage, cover core topics including introduction to pharmacy, pharmacy calculations, techniques of pharmacy practice, pharmacology, law and ethics, communication, and public safety. Employer-trained students also learn topics that are specific to their duties in the pharmacy. At the conclusion of training, students can receive and prepare prescription for a pharmacist review, initiate, verify and collect payment, manage inventory, maintain pharmacy equipment, avoid medication errors, and communicate effectively and maintain patient confidentiality. The training will also prepare students for the national certification exam administered by the PTCB. Requirements for enrollment vary from one provider to another. In general, students should be at least 18 years (the Board only registers persons 18 years or older), have a criminal free background, and a high school diploma or GED. The training provider may also require students to pass a drug screen and TB test. Since a number of technicians obtain their training on the job, there are no costs attached to training. As demands for technicians increase, an increasing number of employers give preference to previously trained and certified technicians in order to meet immediate shortages. Technicians who pursue formal training and certification can step into a number of pharmacy settings and offer immediate support to burdened pharmacists. Therefore, formal training offers distinct advantages for students who can afford to pay an average of $4,900 for 12 months of training. Funding available through the Workforce Investment Act and other sources of financial aid could help to reduce the cost of formal training. For students who cannot afford the programs available at vocational schools and universities, the sponsored training at pharmacy employers could give them an affordable way to enter the industry. Training led by pharmacists typically last 6 to 12 months and covers a broad range of pharmacy related topics and tasks. While there’s no requirements for technicians to pursue certification to register with the Board of Pharmacy, there are immeasurable benefits for those who do. The results of a survey conducted by the Alaska Pharmacists Association revealed that more than half the state’s pharmacy technicians are certified by the PTCB. Pharmacists and technicians responding to the survey believed that certification increases technician professionalism, increases tech wages, improves patient safety, demonstrates technician commitment, gives pharmacists more time for counseling patients, and raises the standards for pharmacy technicians. The Board of Pharmacy and pharmacy employers recognize the PTCB exam. The PTCB is a non-profit organization that improves the standards for pharmacy technicians. The Board designs and develops a national certification exam that is administered at more than 200 Pearson Vue computerized testing centers across the nation. The 2-hour exam comprises of 90 multiple-choice questions. Testing centers are available in Anchorage, Alaska. The exam is just one component of the validation process. Applicants for testing must first provide proof of completing high school or equivalent, have no drug felonies, and no felonies of any kind up to 5 years prior to the date of application. Certification is valid for two years, and CPhTs must complete the continuing education requirements and renew on time to maintain certification. The renewal fee is $40 for online renewal. Pharmacy technician applicants must be 18 years and older and have a high school diploma or equivalent. They should also be able to read, speak and write English and have no criminal convictions that affect their ability to perform their duties of a pharmacy technician. The following describes the steps for registering as a pharmacy technician in Alaska. Alaska defines a technician as an individual who performs pharmacy functions under the direction of the pharmacist. Download the Pharmacy Technician Application on the ABOP website. Complete the application in full and get the form notarized. 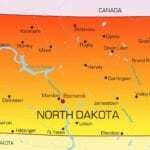 Include copies of your state ID, social security card, and high school diploma. Sign the email agreement if you want to receive email communication from the Board relating to the status of your license. Provide supporting documents if you respond “yes” to the Personal Data questions. Mail the application form, fee, and supporting documents to the address provided below. The processing time for complete and accurate application forms is four to six weeks after the Board receives the documents. If you have a history of disciplinary actions or criminal convictions, you should submit a letter detailing the circumstances and a copy of legal documents. The Board will forward the application to the Investigations Department for review where members of the Board will make a final decision. Pharmacy technicians licenses lapse after June 30 of even-numbered years. There is no grace period. The only accepted and reliable means of renewing an application is through the postal mail; the Board does not accept faxed or email applications. The processing time for renewals is three to four weeks, so submit the renewal at least one month before the deadline. Download a pharmacy technician renewal form online if you did not receive a form in the mail. The copy received in the mail will have a barcode specific to your name and license number. The renewal fee is $60. Some technicians will qualify for the prorated renewal fee of $30. Complete the Statement of Compliance verifying your completion of the continuing education requirements. For renewals, you must complete 10 hours of continuing pharmacy education. Complete the jurisprudence questionnaire, which may require a review of Alaska’s Statutes and Regulations for pharmacies and pharmacy technicians. 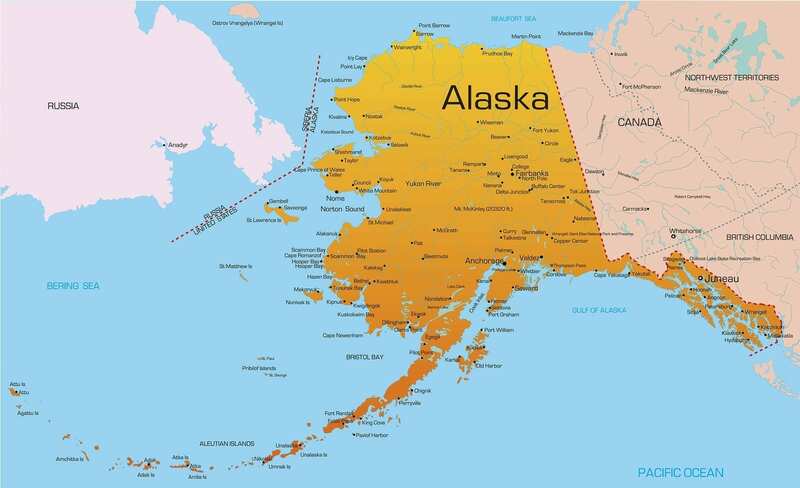 Out-of-state pharmacy technicians should complete an application for new registration as Alaska does not practice reciprocity with other states.